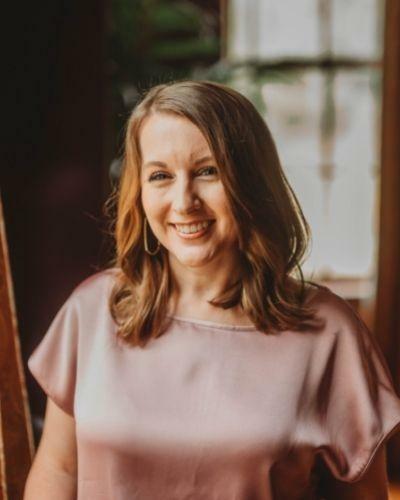 Dining out can be an experience all its own, especially when you get to enjoy unique menu items and twists on traditional favorites. Check out this list of ten dishes you may not be able to find anywhere else than Ruston, LA! This twist on the southern favorite is a must-try! 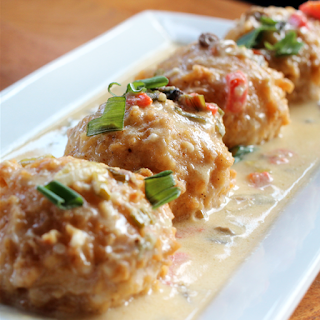 Asiago cheese grits and sauteed shrimp are fried into balls and covered with a mushroom and roasted red pepper cream sauce. Corn dogs are for kids? No way! Try these large shrimp dipped in Portico's homemade batter, deep fried, and served with remoulade sauce. Share as an appetizer or enjoy all to yourself! Ponchatoulas has taken traditional fried catfish to another level with this popular dish. 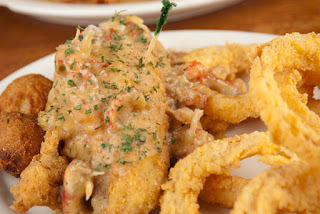 Hand-battered catfish fillets are loaded with their homemade crawfish stuffing, covered in crawfish etouffee, and served alongside hushpuppies and homemade onion rings. Another spin on the fried catfish dish is Scott's Catfish Louisianne - tender catfish fillets served over a bed of dirty rice topped with shrimp etouffee. Now here's a dish you can't get just anywhere in Ruston - blackened alligator. Louisiana alligator is seasoned with Beau Vines' house blend of Cajun spices and served with Creole butter. Try it grilled, fried or stuffed inside a po-boy! 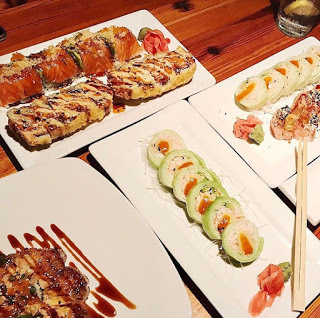 No list of unique seafood items can overlook Ruston's most popular sushi restaurant. This small plate at Raw is made up of baked salmon and crabmix topped with eel sauce, masago, green onions, and sesame seed. You can't go wrong with a roll named after the city itself! Tuna lovers will enjoy this spicy tuna and shrimp tempura roll topped more fresh tuna, fried onions, and eel sauce. But don't stop here; the chef's specials never disappoint. How do you put into words how delectable this app from Dawg House is? 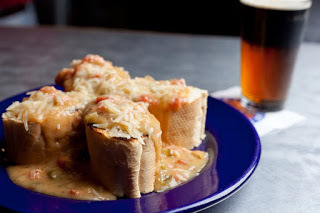 This savory French bread covered in Dawg House's house-made etouffee and topped with Monterey jack cheese will have you skipping your entree altogether. La Bamba is known for delicious Mexican cuisine AND for going off-the-menu to provide customers with an authentic dining experience. 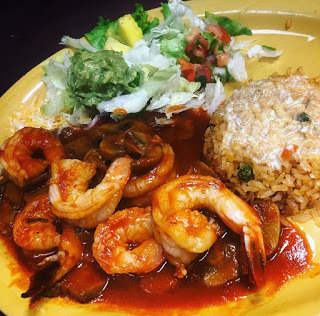 Ask for the camarones diablo - fresh jumbo shrimp, grilled, smothered in their signature diablo sauce, and served with queso rice and the works! In the mood for some familiar favorites? Check out this list of 10 popular seafood dishes in Ruston! And be sure to share your photos using #RustonEats.